You can buy a hypoallergenic dog at any time as long as the breeder has dogs available . Many people are unsure whether to buy a puppy, a young adult, or an older dog when they are looking for a dog. 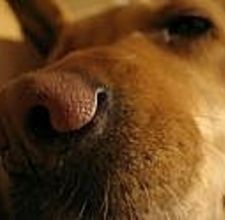 A hypoallergenic dog is a good choice at any stage in the dog’s life. The time and energy you have to devote to the dog should play a major role in the age of the dog that you bring home. All dogs require love and attention, but puppies can be more work because they are playful, curious, and do not like being alone. If you decide to buy a hypoallergenic puppy, you will have to train it, make sure that it has a warm place to sleep when you are not at home, and you will have to discipline it when it misbehaves. Puppies are fun to watch, but they can be very destructive. For many people, however, training a dog from the time it is very young makes it easier to discipline throughout the dog’s life. Dogs are intelligent animals that can be taught a routine within a few weeks of their arrival. Having the time to train the dog is what is required from pet owners who buy puppies. Puppies are not for everyone. Buying a hypoallergenic dog that is a year or older is the answer for those who have limited time to train their dog. Young adult dogs are still active, but they are less curious than puppies. If you want a dog that enjoys getting exercise, lets you know when they need to pee, and sleeps for longer periods of time, then a young adult is the right dog for you. Depending on the breed, you will have to board your dog when travelling as some breeds can panic when left alone. Dogs that are five or older can usually be found in animal shelters or dog pounds. These dogs probably had previous owners and were either abandoned or mistreated. If you want an older dog that will require even less training than a young adult, then you should visit your local animal shelter. While some of these dogs may need extra love and time to earn your trust, you will find that they will adjust to their new home quickly. Hypoallergenic dogs need more care than other dogs because they are usually smaller and have coats that need to be groomed more often. The age of the dog you buy will be determined by the breed you are looking for, the availability of different breeds from breeders, pet stores and animal shelters, and the amount of time you have to train and build trust in your new dog. If you have a family, you will also have to consider which breed to buy as well as the age of the dog. Buying the right dog may take some time, but if you look in different places, you will find the right hypoallergenic dog for you and your family.